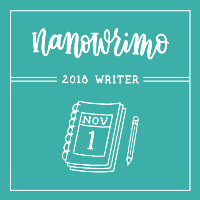 Maybe you are a list maker or note taker and never get your deepest thoughts or greatest ideas into an actual notebook. OneNote can help you organize all those thoughts and ideas and help you clean up all those sticky notes and bits of paper lying around and keep them stored in electronic form. The same thing will work for all your genealogy records. I am working on becoming paperless genealogist. OneNote is helping me do that. 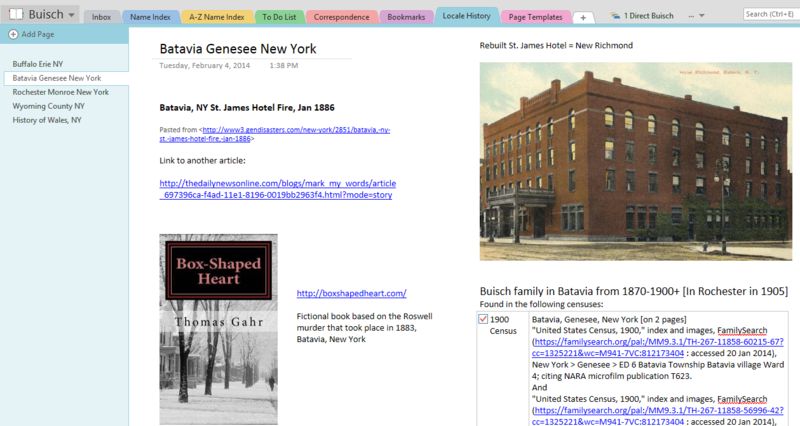 If you are a lover of 3-ring binders, you will easily grasp how OneNote can be a useful tool. A OneNote notebook works just like a 3-ring binder. In a physical binder, you can insert dividers with tabs on the right that you label to help you categorize, organize and store information. Behind each divider, you can insert multiple pages of information. In OneNote, the notebook dividers are called Sections. They run across the top of your notebook. Each notebook Section can have as many Pages and Subpages as you need. Pages run down the side of your notebook—either on the right or the left. In OneNote, you can create as many notebooks as you need. 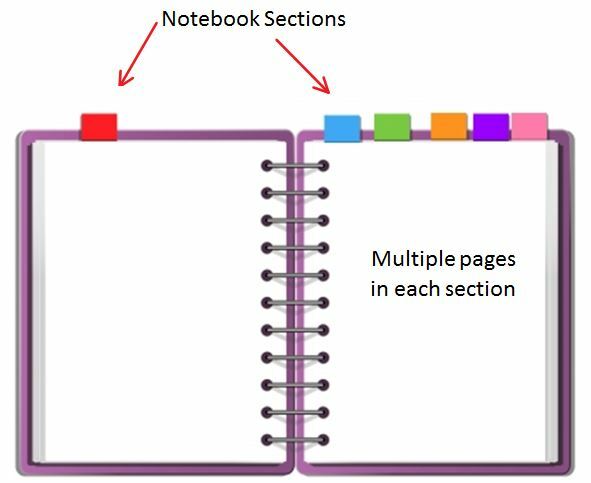 Each notebook can have multiple Sections and Section groups. You can store notes of many different types on the Pages in your OneNote notebooks. The information can be arranged on the Page in any configuration you want it to be. Insert photos, maps, tables, task lists, web links, PDF files, emails, videos, voice files–any type of digital file. Arrange everything on the page in whatever way pleases you. 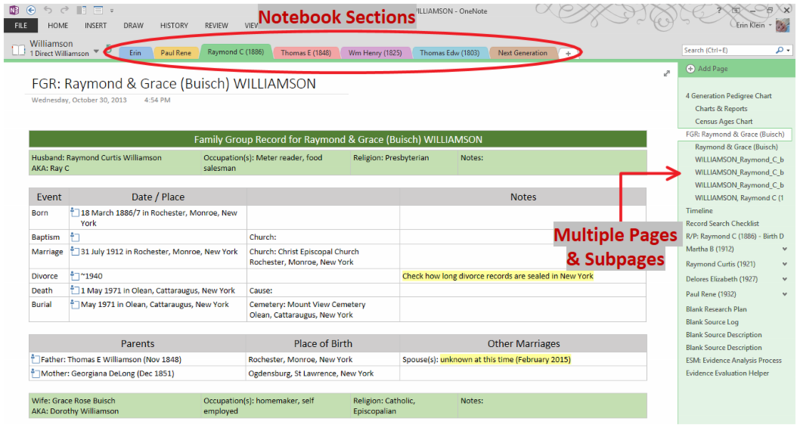 Erin Williamson Klein, “Basics of OneNote 2010.” My Family History Files, 2 April 2014 (http://myfamilyhistoryfiles.com/organization/basics-of-onenote: [access date]). Greetings, A-Z Challenger! Back when I had a Windows machine I used OneNote and thought it was quite a good application. I love being organized. I am so glad you made me aware of OneNote.